Well the weather has definitely changed in the UK, the trees have changed colour and the blustery winds have started. To try and hang on to Summer, the theme over at Everybody Art Challenge is Flowers. 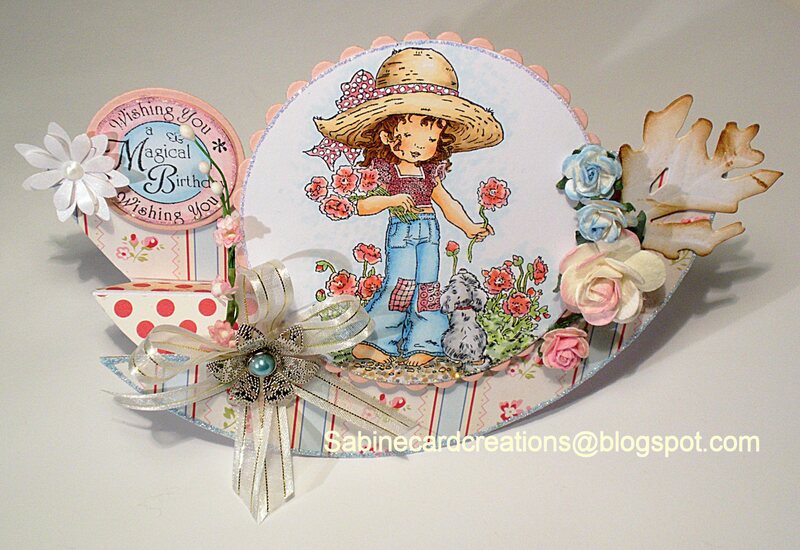 I have made a side step swing card using the instructions over at Paper Papillon it took two attempts using copy paper to work out how to do it and to be honest it did take a lot of time so it won't be a shape used too often. Oh wow! This is GORGEOUS! So beautiful! I'm not familiar with that fold, but it does look very pretty, don't know if I'm ever going to try it. I recently tried a center step card and had to do it twice to get it right so I'm going to take your word on this one. But it really looks lovely, very feminine and makes me think of summer.